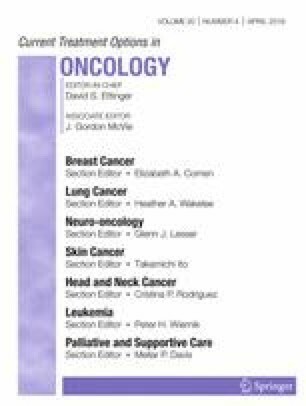 Immunotherapy has become one of the greatest advances in medical oncology over the last century; however, the optimal application for the treatment of breast cancer remains an active area of investigation. Modern immunotherapy strategies augment the immune system and ideally, permit durable tumor-specific immune memory. In fact, several monoclonal antibodies that mediate the immune checkpoint receptors have provided the most clinically meaningful improvement for breast cancer patients to date, particularly for the triple negative subtype. Checkpoint blockade as monotherapy has demonstrated some encouraging results, although some combination strategies appear to augment those responses and may be particularly effective when administered earlier in the course of disease. For example, the combination of atezolizumab and nab-paclitaxel as first-line therapy for metastatic triple negative breast cancer demonstrated significant improvements in progression-free survival when compared with chemotherapy alone. Herein, we review the data for immune therapy in breast cancer and highlight promising future directions. Jeremy Force has received compensation from Pfizer and Myriad Genetics for service as a consultant and from NanoString Technologies and Genomic Health as a paid speaker. Jorge Henrique Santos Leal has received compensation from Pfizer, Roche/Genentech, Novartis, and AstraZeneca for service as a consultant and participation on advisory boards. He also received travel accommodations from Pfizer, Roche/Genentech, Novartis, and AstraZeneca in both 2016 and 2017. Heather L. McArthur has received clinical trial funding from Merck and MedImmune/AstraZeneca; has received drug support from Merck, Bristol-Myers Squibb, and MedImmune/AstraZeneca; has received compensation for participation in advisory boards from Merck, Roche/Genentech, Lilly, Peregrine Pharmaceuticals, TapImmune, Inc., Amgen, Puma, Pfizer, Immunomedics, Syndax, Spectrum Pharmaceuticals, OBI Pharma, Calithera Biosciences, and Celgene; has served as a consultant for Merck, Roche/Genentech (consulting fees waived in 2018), Lilly, Amgen, and Spectrum Pharmaceuticals; served as a guest speaker for Genomic Health and OBI Pharma; and has received reimbursement for travel expenses from Merck, MedImmune/AstraZeneca, Lilly, Amgen, Spectrum Pharmaceuticals, and Celgene.